We have provided interview questions for quality control analyst here. You have to know all these question answers before attending an interview. 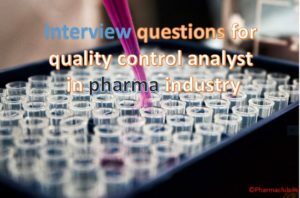 We have already provided interview questions for quality control analyst in our previous post. This post includes some more important questions for interview. 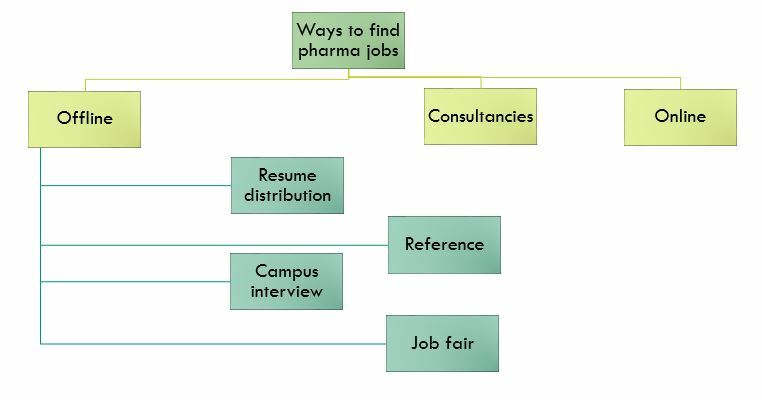 These are useful for freshers as well experienced people. Have a knowledge on all these questions before attending the interview. interview questions for quality control analyst are as follows. Acceptance Limit for Friability of tablets? Ans) Acceptable tablets weight loss is 0.5 to 1.0% for 100 revolutions. Or 1-5% weight loss for 10 minutes revolution. ( Generally 6 grams of weighed and de dusted tablets place in the rotating apparatus, it revolves at a speed of 25 revolutions per minute i.e 25 rpm. Tablets freely falls from 6 inch height for every rotation. These tablets subjected to 100 rotations or for 10 minutes i.e 250 rotations (10 min*25rpm)). Acceptance limit for uniformity of content of tablets? Ans) There are two criterias for acceptance limit. Take 30 randomly selected tablets. Take 10 tablets, and assay individually. 9 out of 10 tablets should be in the range of 85% to 115%. One tablet can be in the range of 75%-125%. If this criteria fits, it passes the test. If these conditions not met, remaining 20 tablets should be assayed. All of the 20 tablets should in the range of 85% to 115%. What are different types of capsule sizes and holding capacity of smallest and largest size? Ans) Sizes are 000, 00 , 0, 1, 2, 3, 4, 5. Smallest size 5, It can hold at least 65 mg of drug. Largest size 000, It can hold up to 1000 mg of drug. What are the types of Gas Chromatography? Gas Solid chromatography(GSC) : Stationary phase is solid and gas used as mobile phase. Gas Liquid chromatography(GLC): Liquid on a thin solid support used as stationary phase and gas used as mobile phase. Which material used as stationary phase and mobile phase in GSC and GLC ? Ans) Granular silica, alumina or carbon used as stationary in phase in GSC. Non volatile liquid on solid base like Diatomaceous earth or kieselghar used as stationary phase in GLC. Inert gases like helium or nitrogen used as mobile phase(carrier gas) in both GSC and GLC. which type of tablets does not require Disintegration test? Ans) Sustained release tablets, Delayed released tablets and Chewable tablets. What is disintegration time for Uncoated , coated, enteric coated, dispersible and soluble tablets? What is disintegration time for soft gelatin and Hard gelatin capsules? Accuracy also known as trueness. Analytical Procedure accuracy is the closeness between the accepted reference value or conventional true value and the result value. One measurement is enough to determine the accuracy of an analytical procedure. It does not tell about the quality. For accepted reference value is 20, you result value is 19.9 or 20.1. Then it is said as high accuracy. In the same case, your result value is 18.7 0r 21.4. Then it is stated as low accuracy. Precision: Analytical Procedure precision is the closeness between a number of measurements taken from the homogenous sample multiple samplings under specified conditions. To measure the precision of an analytical procedure requires several measurements. It speaks about the quality. In the above options, Result “A”& “B” said as High precision, Result “C” said as Low precision. Here the consideration is series of measurement values for a particular homogenous sample. There is no reference value in the concept of precision. Differentiate between relative humidity and absolute humidity? Ans) Absolute humidity also called as Humidity. Simply defined as amount of water vapour (moisture) present in a volume of air. Unit expressed as gram/m3. “Relative” humidity: “Relative” nothing but comparison or ratio. So it is expressed in percentage(%). It is the ratio of air current water vapour/moisture/humidity to highest possible water vapour /moisture/ humidity. This highest possible humidity depends upon the current specific air temperature. Ex: Current air contains 1 gram/m3 of water vapour (humidity), For that air it can hold up to 4 gram/m3 of water vapour (humidity) (It depends on temperature). Limit of Detection: Also known as Detection Limit. For a particular analytical procedure, Upto how much lowest amount of component or analyte in a sample can be detected. That is the detection limit for that individual or particular analytical procedure. It does not mean that it should able to quantitate that analyte. It should able to detect that analyte, that’s it. LOQ: Limit of Quantitation: Also known as Quantitation Limit. For a particular analytical procedure, up to how much lowest of analyte in sample can be quantitated with suitable accuracy and precision. LOQ come into picture in quantitative assays to determine the degraded products or impurities in the samples. Please share this post your friends and free feel to speak your opinion below.